Quick Review: I’m giving FusionCash a solid 9/10. High survey offers that take less than 10 minutes to complete. HIGHLY recommended if you want a high-paying, consistent survey website. 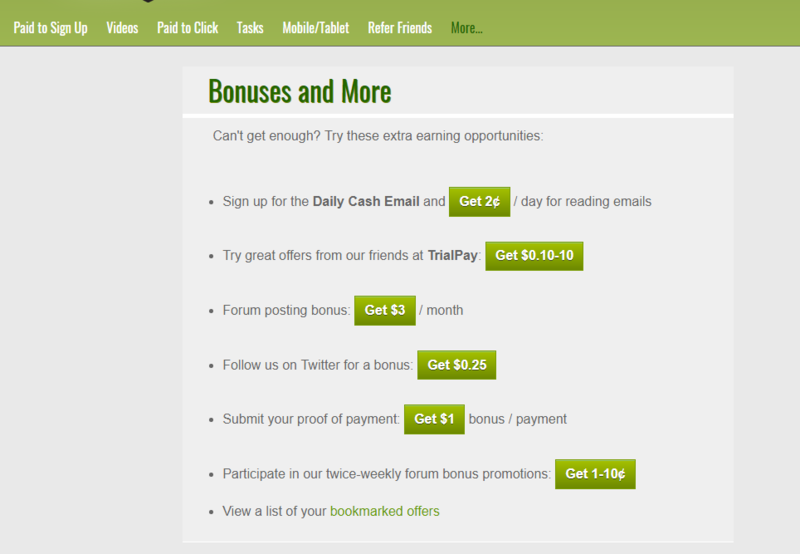 Follow this link for a quick $5 bonus after confirming your email. FusionCash.net has been around since 2006 and is one of the many ways to make money line. It has a history and is known to make their payments on time, so that’s already a good sign, right? And, while you won’t make a ton using this platform, you could make a few dollars a day, all depending on what offers/surveys you complete. And, how often you sign in. If you’re thinking about joining or you’re just looking for additional ways to make money, let’s dive and see if FusionCash.net is really worth joining. FusionCash is considered to be a “get paid to try” website, wherein you can get paid to complete a variety of tasks, such as watching videos, taking surveys, downloading apps and so much more. Basically, read the task description, complete it and get rewarded for your time. A lot of these options won’t be worth your time, but hey, the more options, the better, I suppose. 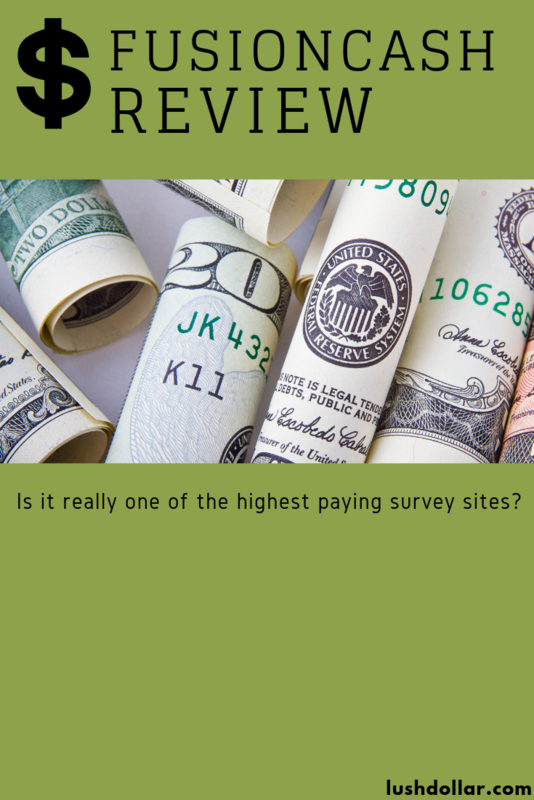 As I get into earlier, most of your money often relies on survey opportunities. If you have been following my reviews for a while, it’s a website that works much like PrizeRebel, EarningStation and Earnably. There are many more companies than this, trust me, but these are some of the reviews I have created so far. No credit card is required and is completely free to join. 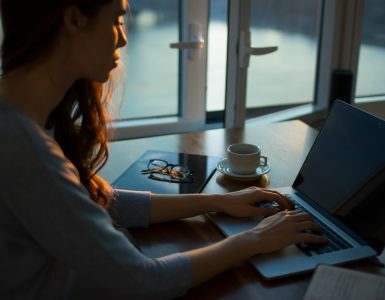 At first glance, the website seemed to be a pinch outdated, but usually, I don’t let it deter me from signing up as long as it makes me money and it’s easy to navigate. 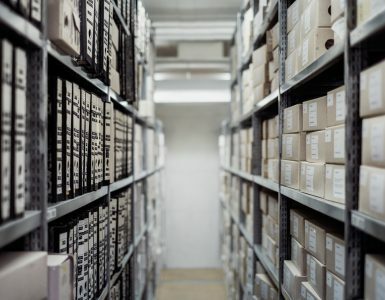 While the website is, indeed, a bit outdated, it’s at least very easy to browse the website and you can at least find what you’re looking for. If you have a pop-up blocker, then you will want to click on the sign-up links found on the main page. Or, you can follow this link to make it easier. Whatever you want. To sign up, all you need to enter on your part is a username, email, password and zip code. In most cases, you will get a $5 bonus just for signing up. You can use this link to take advantage. This bonus is huge as it gets you that much closer to your cash payout. FusionCash only accepts U.S. and Canadian residents who are older than 18+. If you don’t fit this profile, then you will be denied as a fair warning. And, don’t even think about scamming as these companies do have protocols in place. The entire sign-up process takes about 30 seconds and you will be able to access your dashboard almost immediately. 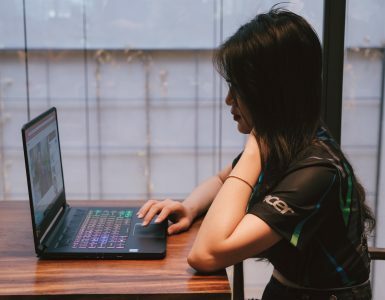 It’s really up to you where you want to start making money, but if it were me, I probably would start with the “FC Surveys” and “no credit card needed” options if you wanted to start completing offers right now. As there seems to be a bunch of options, I will do my best to break them down below and explain how each one works in this guide. Inside the “Paid to Sign Up” offers tab, there are a variety of options, which I will explain below. Your first section on your dashboard will include “popular” items. As the name claims, these appear the most popular offers you can complete at the time. 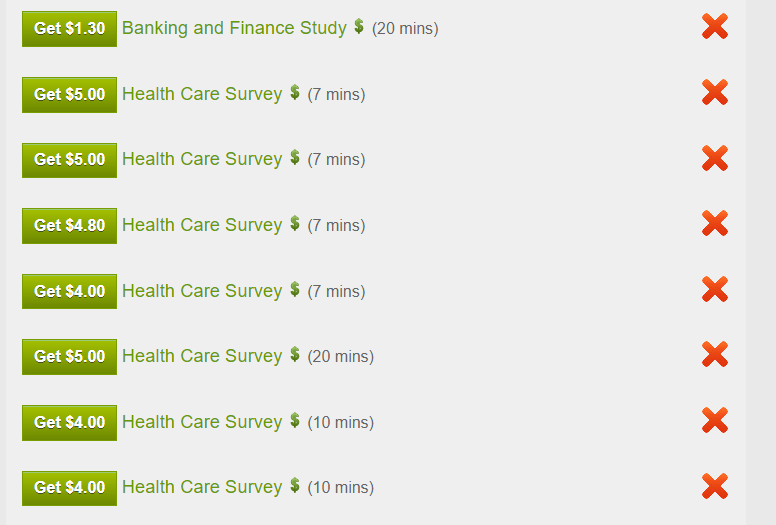 Looking at the offers on my dashboard, it ranged anywhere from signing up for a free trial to completing a survey. When doing any of these offers, just make sure you pay close attention to the payout to ensure you know what you’re getting paid for before completing. It’s also just as important to pay very close attention to the instructions to ensure you do get rewarded. This section is pretty straight forward as well. All the offers you see under this tab will require no credit card, making it a great option if you don’t generally like signing up for trials, etc. Under this tab, when I took a look, there were a lot of third-party offers you could complete, as well as links going out to third-party offer walls, which are companies that many of these GPT websites like to work with. Now, FusionCash doesn’t work with a lot of these companies. I’m just posting the bigger names in the industry so you know what to look out for. All of these offer walls work the same. You complete the offer and the offer wall tells FusionCash or whomever you’re working with and you get the credit specified. If you do decide you want to work with one of the offer walls posted here, such as TrialPay and the likes, then I highly recommend you compare the rates to some of your other favorite GPT websites as you will find that these rates do vary. All of these websites get to set their own rates when working with the third-party offer walls. In a comparison I did in the past on my Earnably review, for example, I found that GrabPoints often offers the highest offer wall offers, so you may want to give them a look. I wouldn’t focus too much on this tab as most of your money will be in the surveys, as I mention later in the guide, but it doesn’t hurt to at least look to see what’s available at the time. Sometimes, a good offer is worth your time. Another self-explanatory title that lists many of the offers you can repeat throughout the day. Basically, it appears FusionCash links out to many of their other subcategories as well as outside market research firms that offer survey opportunities. So, while you won’t complete the same offer over and over, FusionCash encourages you to keep click on the links as the survey list continues to update. 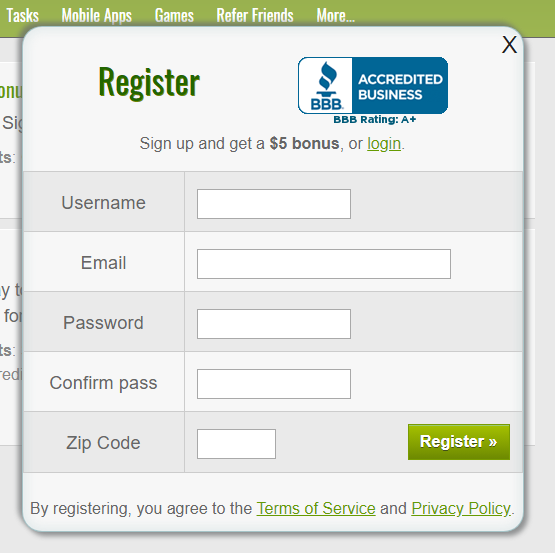 And as a last tab beneath the “Paid to Sign Up” section were the newer offers. If you constantly visit the website, you may want to just check out the newer offers to see if there’s nothing of interested. You don’t need to focus on this tab, however, as all of these offers will show up beneath the tabs already mentioned. As the second way to make money, FusionCash will pay you to watch videos. I have written about getting paid to watch videos in the past, and honestly, I really don’t recommend it. While it is 100% legit, you’re going to make pennies in doing it. The only way I would ever recommend it is if you saw a video on the list that you wanted to watch anyway. Looking at the video list, it looked like FusionCash linked out to a few third-parties, with most paying about $0.01 per 30-second view. Doing the math, that’s $1.20 an hour. Meh. The “Paid to Click’ section was quite simple. Visit four different pages, click on a sponsor’s advertisement and then you will get rewarded $0.15. In order to receive this reward, however, you will need to spend at least two and a half minutes on the four content pages you view. The content pages were broken down in categories, in which you could click around and look at stories. Like the videos, the $0.15 isn’t much, but if you want to invest two minutes of your time, then why not? To me, it’s really not worth it and I probably would skip out. 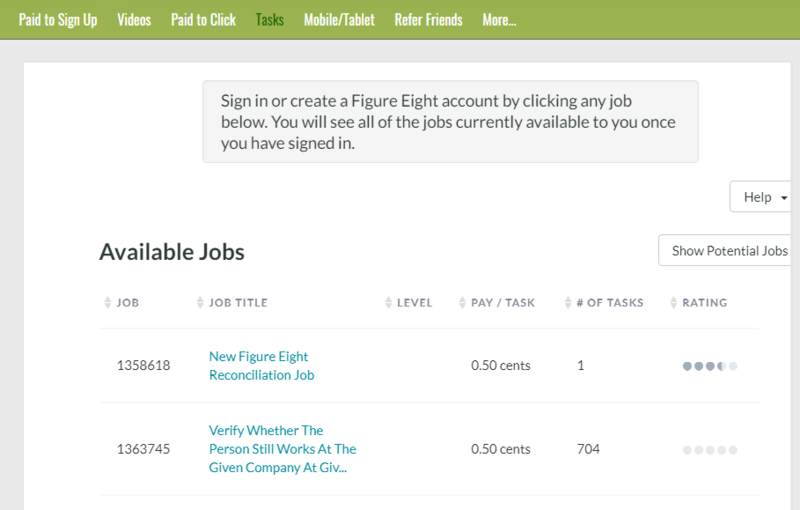 In the tasks section, FusionCash worked with a company known as Figure Eight, a third-party company that many of these GPT websites work with. Working much like mTurk, you simply complete a task for the compensation noted on the list. If you decide you want to complete these tasks, you will have to create a Figure Eight account to start working with them. For example, when I was writing this, you could make $0.50 per task to verify if someone was working. These tasks tend to change and can be worth it in some cases. Just use your judgment to figure out how long the task could take and if it’s truly worth your time. As the name implies, the Mobile/Tablet tab works much like the offer walls I mentioned earlier, only that you’re going to complete these offers while you’re on your iPhone or Android. 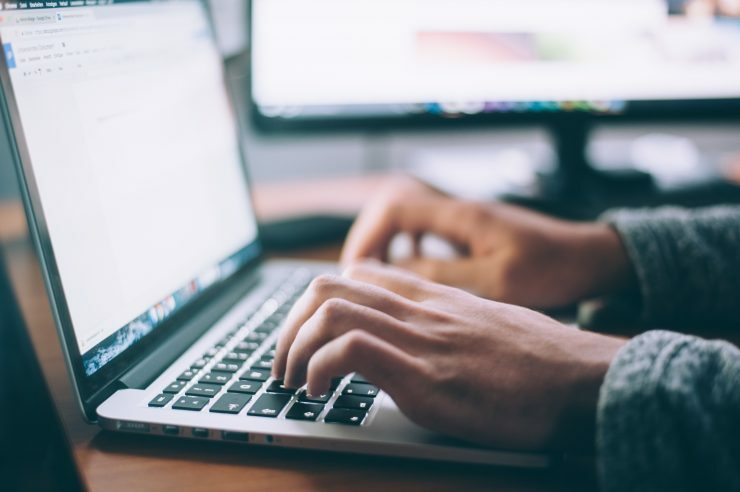 Keep in mind that a lot of these offers you have to do on your desktop, so if you plan on using this website while on your phone, you can still do so, but you just need to make sure you’re on this tab while doing so to make money. Most of these offers, at least from what I could see, dealt with downloading apps and getting credited as long as you followed the directions. In some cases, you could get credited if you downloaded the app, while other apps wanted you to play a certain amount of time before rewarding you. FusionCash probably has one of the best refer a friends program. It’s so simple. For every friend you refer, you get $1 when they confirm your email, and if they complete a “paid to sign up” offer, you get $2. And, if that’s not enough, you can get $5 every time they cash out. Yes, every time your friend cashes out, you get $5. Not too bad! By far, this is the way to do it when you refer friends. As a lot of companies pay you a portion of what your friend earns, usually it’s not that much. This setup has much more potential, seeing an email confirmation alone can earn you an easy buck. Just make sure that if you do decide to use your referral link that you follow the rules. Generally, as long as you don’t spam, post on Craigslist and don’t refer people in the same household, you will be fine. If you read emails, you can get $0.02 or even get $3 if you post on the company’s message board. There seems to be a bunch of random options, so make sure you at least check it out to see if anything is of value. 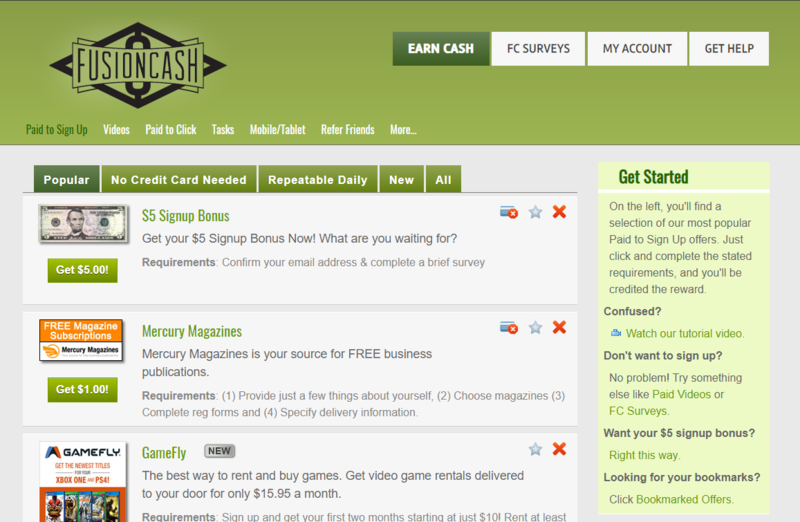 The “FC Surveys” tab, located near the top, is, by far, the best way to earn money on the website. Surveys don’t need your credit card and most take less than 15 minutes to complete. Surveys are the only thing I do in my spare time and is an okay money maker on the side. The thing I liked about the FusionCash surveys is that they offered some amazing survey opportunities, most of which paid quite well. In fact, I would rank them near the top in terms of payouts and the time involved. For example, when I took a look at the survey section, there were at least 25+ options, with most paying anywhere from $0.75 to $5. Not bad! A few of those would only take seven minutes to earn $5~. That’s really good. If you do decide to take the surveys, just make sure you fill out your profile in detail so that you can receive targeted survey invites. You will receive a small bonus in doing so. Honestly, I usually just focus on the surveys and rarely complete the offers unless it’s a big money maker, so if you do sign up, I would just focus on this tab for now as it will keep you busy for quite some time and make you quite a bit of cash. Unlike a lot of the survey companies I promote, wherein you need to figure out how much your points are worth and how you can redeem them, FusionCash works in yet a simpler way. You only earn cash, not points. So what you see is what you’re going to get. But, as one huge downfall, you do need to earn at least $25 to cash out. Sadly, this is quite high in comparison to most of the competitors, but it’s pretty easy to reach if you focus on the surveys as mentioned above. Whenever you claim a cashout, payments are made around the 20th of every month. And yes, they do pay. You can find countless pictures on Google images. They have paid me as well. Aside from PayPal, FusionCash also lets you cash out via direct deposit or a check if you choose. Regardless of what option you choose, you will have to wait at least one to five business days for approval once you hit the cash out option. Like most survey/GPT websites, it’s really going to depend on how often you log in. Every time I logged in, I would always see $1+ surveys, so if you qualified for at least one and signed in daily, it would be very easy to earn $30. However, if you did two, three or even five surveys a day, you could earn as much as $200+ a month. It’s hard to answer, but if I had to estimate, I would say the average FusionCash member earns anything from $15 to $200+ a month, but some could earn much more. As always with my reviews, it isn’t always about me, so in this section, I wanted to include both the pros and cons from other reviews on the web. simple rewards system — just cash! Going into this, I didn’t think I would like FusionCash as much as I did. If you solely focus on the survey opportunities, which I highly recommend, I feel you can make at least $25 to $75+ a month if you log in daily. If you visit the official forum on the website, you can find countless people talking about the ways you can make money on the website. I mean, just look at the offers I could take advantage of. Many of them paid $4+ for only 10 minutes of my time. And, remember, these surveys continue to update throughout the day. 9/10All in all, I’m going to give the company a solid 9/10. The only reason for the non-perfect score is due to the fact that their cashout redemption rate is quite high at $25. Other than that, there’s not much to complain about. Remember, if you follow this link, you can get a $5 sign-up bonus, making it that much easier to reach your payout. It’s free, so what do you have to lose? Worst case, you find out you don’t like it, you can always delete your account and move on with life. In the meantime, if you have used the website, let me know your thoughts below. I’d love to hear them!